Last time we looked at how ScottKit games handle the player’s actions. But sometimes you need actions to happen independently of what the user does. If you’re in a frozen wilderness, maybe there’s ten percent chance each turn of freezing to death; or if there’s a thief here and you’re carrying a crown, he might steal it. pLast time, we saw how to make rooms and items in ScottKit. We used these to build a small but not completely trivial game with three rooms, in which you can move through from the start room to where a coin is found, and bring it back to where you started. 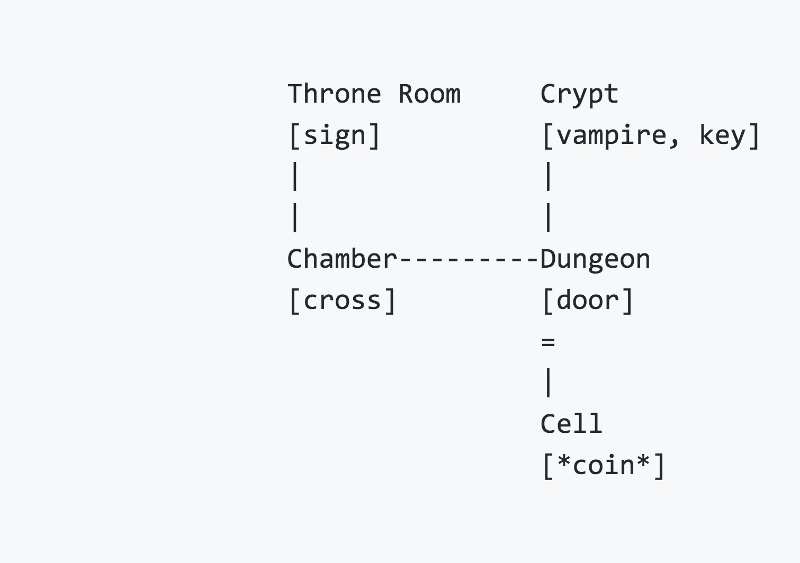 As you can see, the rooms and exits are basically the same as the map for the previous iteration, But we’ve added a couple of items and — crucially — the first puzzle. Last time, we learned how to write, build and play games with ScottKit. 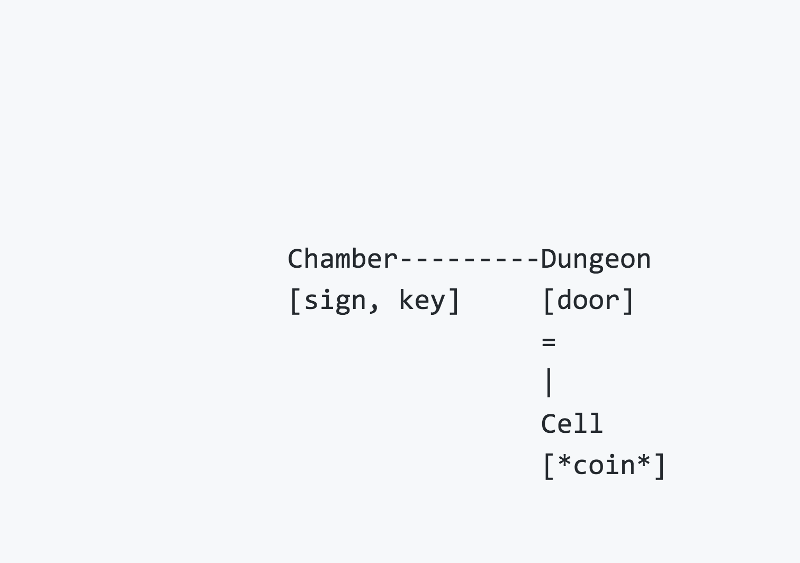 But the game we made was absolutely trivial: two rooms, connected. 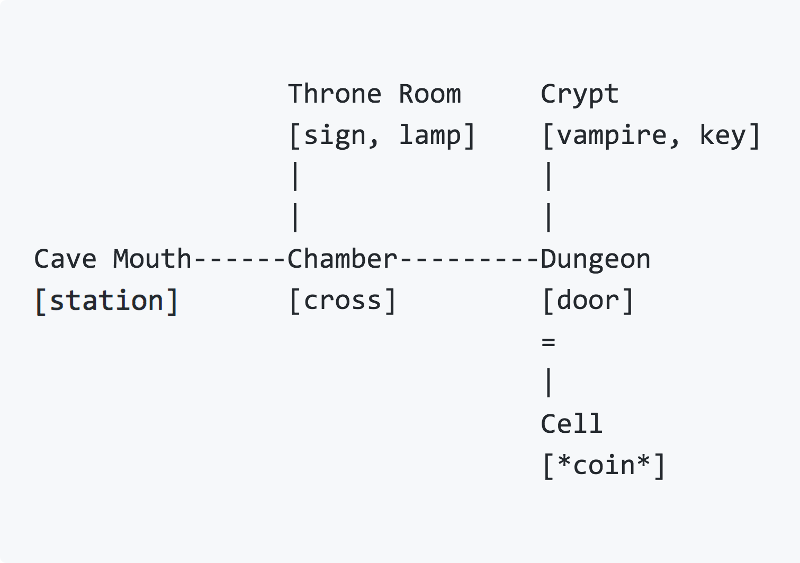 The only thing you could do in the game was to move back and forth between the two rooms — and even that only worked because GO (and the six directions acting as verbs) are built-in commands. This time, we’ll expand the game: here’s a map of the expanded version. 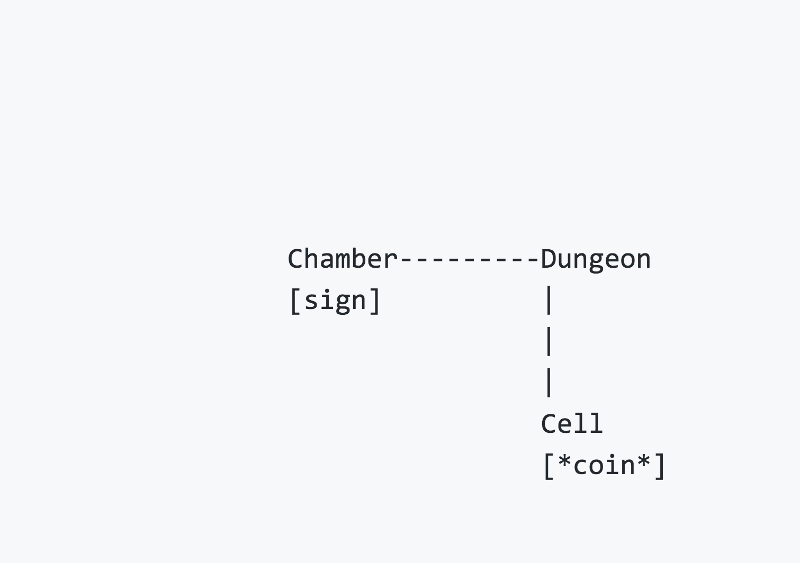 Compared with last time, we’ve added one more room (the cell) and our first two items. One of the items is a treasure, as indicated by its name starting with an asterisk. So, I finally published ScottKit. Now what? What can you do with it? You can build your own games, that’s what! Adventure games of the GO NORTH, GET LAMP, KILL TROLL variety. If that seems limited to you, consider that the same mechanisms can easily underlie games in any setting, and with any theme. It’s a style of gaming that gets you a lot of game for relatively little work: for example, the source code for Scott Adams’s own classic Adventureland, as decompiled with scottkit -d, comes to only 22 Kb. 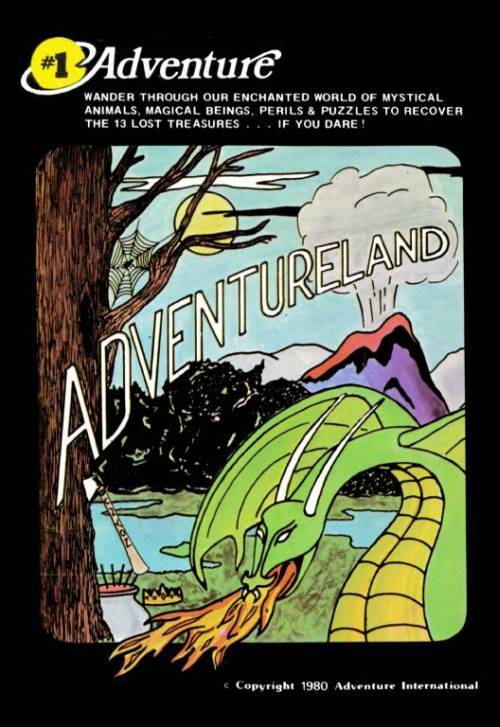 The original late-1970s artwork for Adventureland. In those days, any kind of cover art was unusual: quality was not always assured. I’ll write more about the charms of this kind of game creation in a subsequent post, but today I want to get you started in creating games.